Other Insurance Why get caravan insurance? Caravan insurance is not a legal requirement, so you might well wonder whether it is worth the effort and expense. While towing, caravans are often covered by your motor policy. But, once the caravan is uncoupled, this may not be the case and with new caravans costing upwards of £9,000 (and some costing much, much more) it makes sense to have insurance. 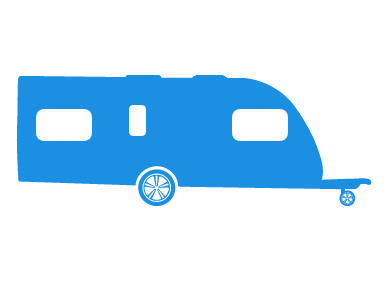 Here are the four main reasons for taking out caravan insurance. Caravan theft is becoming increasingly common and easy as illustrated by this footage on YouTube. It is estimated that over 3,000 tourers a year are targeted. Taking out new for old cover ensures that if your caravan is stolen your insurers will pay out the cost of buying a new caravan. For older caravans cover is usually restricted to market value only. Remember when insuring new for old to include a value for the awnings, gas bottles and other fitments. Personal items that you take on holiday may not all be covered by your home insurance, especially if they are left in an unattended caravan. It is possible to include personal items that are not covered by your home policy in your caravan insurance. Emergency accommodation expenses can be included in a caravan insurance policy. These are particularly useful if your caravan gets damaged while you are on holiday and you need somewhere to stay. Many people don't consider this scenario. Storm damage and flood damage are becoming much more common problems. The last few years in the UK have seen some unusual weather patterns and horrific flooding of camp sites. Caravan policies will cover this but it is important to check the excess which might be quite high in some cases. Whether you have a touring or static caravan, insurance can be surprisingly cheap, so you have nothing to lose by getting a free, no obligation quote. Our caravan insurance experts are standing by to help you. Quick & Cheap Caravan Insurance cover rates by phone, please complete the call me form during office hours 9am to 7pm Monday to Friday & 9am to 4pm Saturday for an immediate quote.